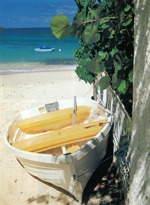 LIGNE ST BARTH cosmetic line was founded in one of the most gorgeous Island in the French Caribbean: St. Barthélemy. The Brins, founder of the company, were descendants of the Arawak Indians. They built the company merging their ancestors’ knowledge on benefic effects of flowers and fruits from the Caribbean with latest production technologies, achieving original and high quality results. 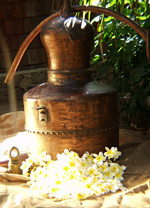 Exclusive treatments, beauty elixir, exotic scents that evoke Caribbean dreams. The wide range of Ligne St Barth products is handcrafted in the heart of the Carribean with ingredients coming from sourrounding islands. The natural ingredients are extracted from selected friuts and plants to offer a concentration of benefic properties that suit all skin types. The formulations are inspired by the Arawak ancent recipes based on their deep knowledge of plants' therapeutical effects, which is nowadays recognised also by modern science. Technology is then used to carry on strict quality and dermatological tests according to highest standards. In 1998 Ligne St Barth opened Roaring Pavillion, luxury resot in the heat of Jamaica, that combines technical expertise and Ligne St Barth high quality products in an amazing natural setting. In this intimate and exclusive restort Ligne St Barth created a spa treatment menu, which has been exported to the best spa all over the world. Discover Ligne St Barth range on www.lignestbarth.com!